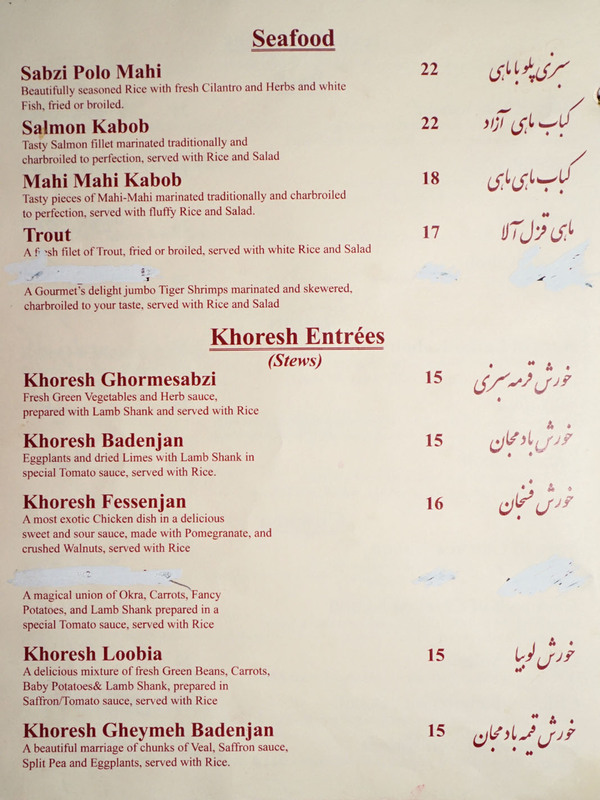 Our perpetual search for BYOB-friendly restaurants brought us to Glendale's Shiraz recently. 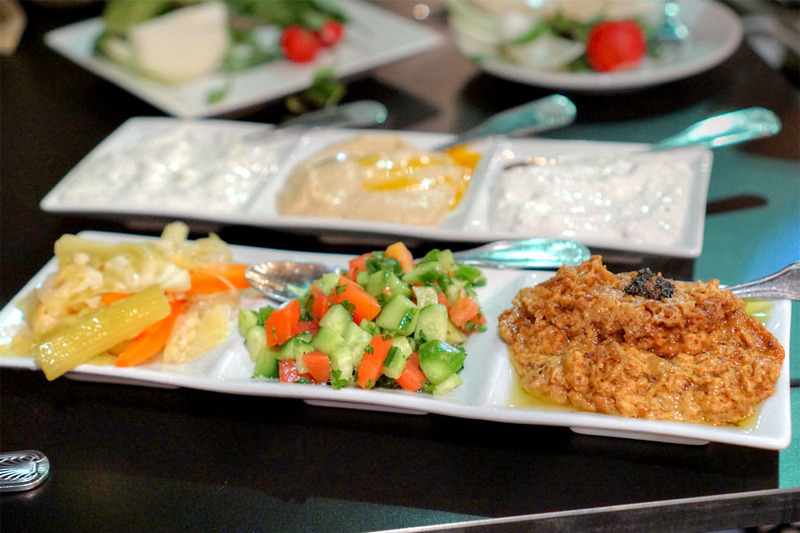 The place opened back in 1986, and claims to be one of the oldest Middle Eastern eateries in the area (they also have a location in Sherman Oaks). Inside, things are surprisingly schmancy. The main dining room seats 150, and there's also a covered patio with space for 80 more. Given that the restaurant also functions as an event space, you'll also find another 25-seater private room, as well as a banquet hall on the second floor for 110 guests. 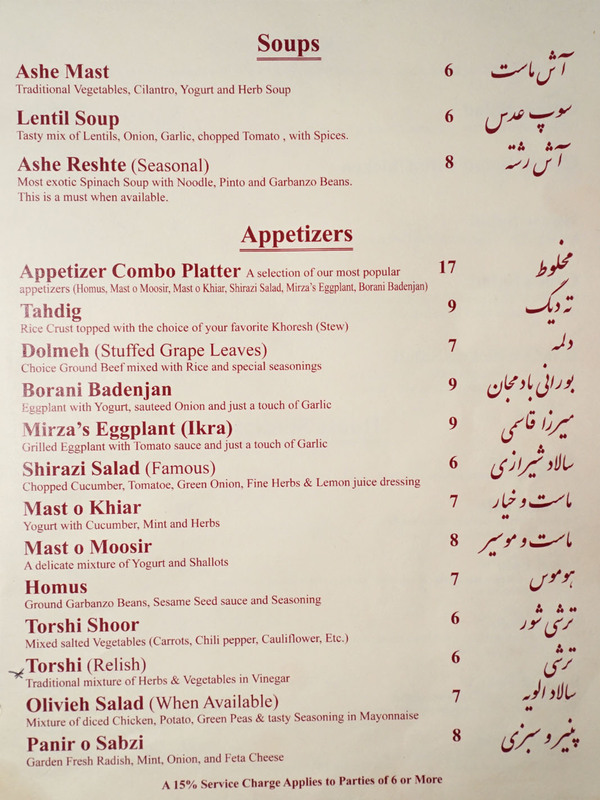 Shiraz's menu is a fairly lengthy affair, and features all your Persian-Armenian favorites, with a particular focus on kebabs, stews, and pilafs. The restaurant no longer sells alcohol, but as mentioned above, corkage is free, so take advantage of it. Click for larger versions. 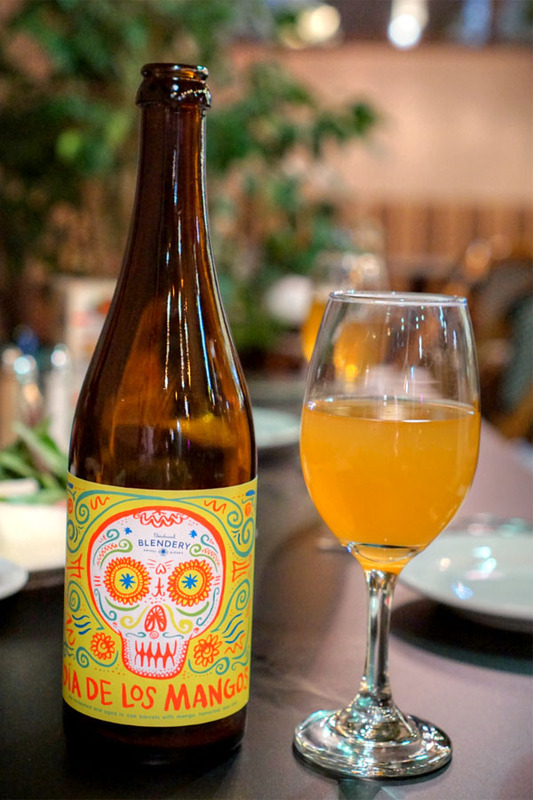 Our first bottle was the 2016 Beachwood Blendery Dia de los Mangos, a lambic-inspired beer comprising a blend of year-old barrels of sour ale, further aged with mango and tamarind for eight weeks and infused with ancho, Aleppo, ají amarillo, Guajillo, and green serrano chili peppers. This one smelled decidedly acidic, with light funk and fruit mixed with oak. For taste, I got lactic sourness and mango, along with nose-tingling spice and a lasting heat on the finish. 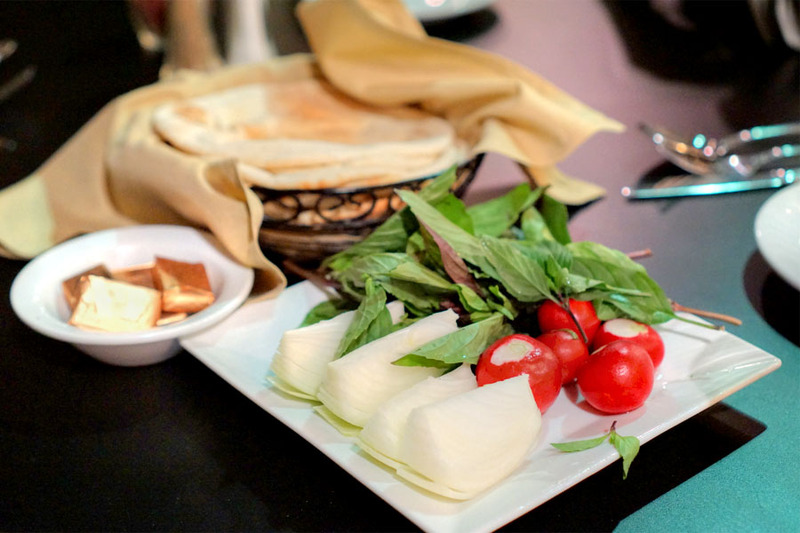 The usual accoutrements were quickly brought to the table: radish, onion, mint, and basil (the sabzi khordan), along with butter and warm, chewy pitas. 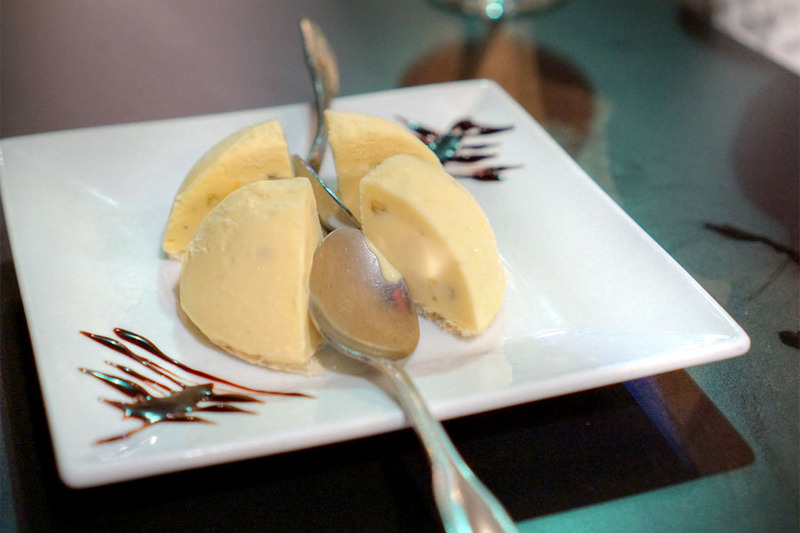 Mast o Khiar - Cool and creamy, just as you'd want. Homus - A gritty, classic preparation that really showed off the nuttiness of the tahini. Mast o Moosir - Quite lactic, with subtle shallot on the back end. 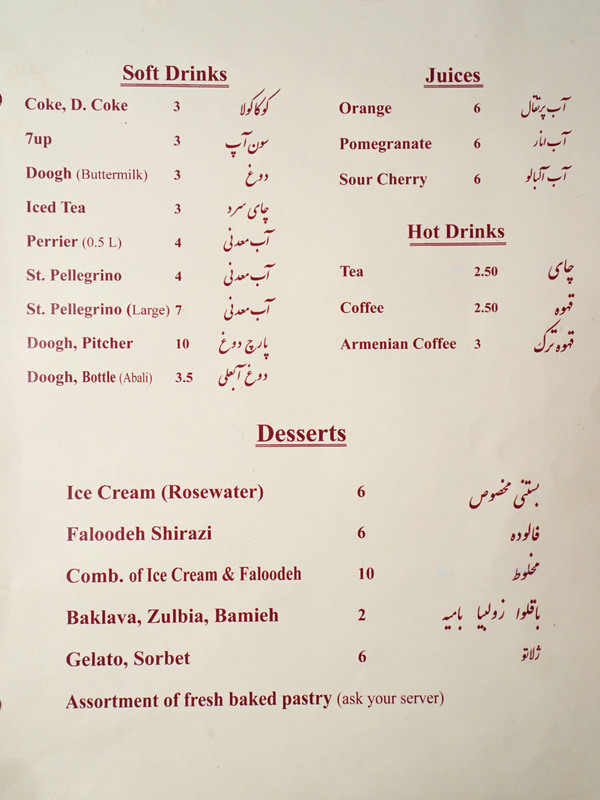 Torshi - Tart, salty, crunchy, and a seeming substitute for the "Mirza's Eggplant" advertised on the menu. 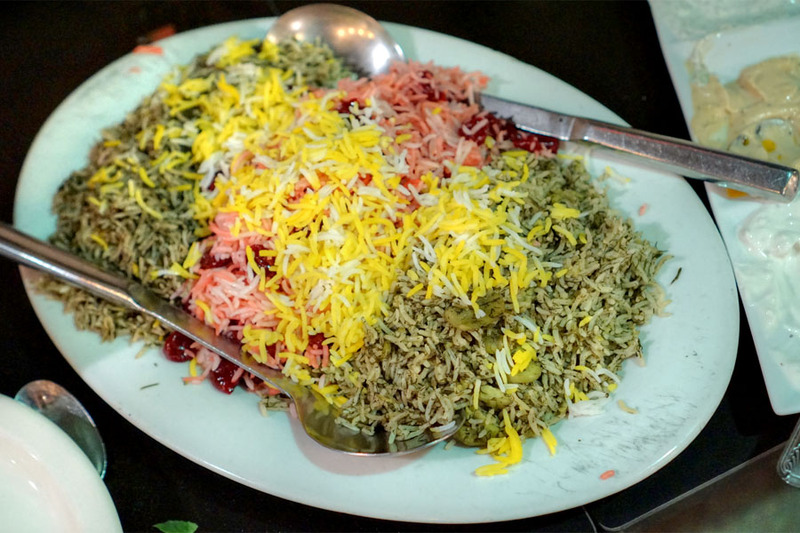 Shirazi Salad - Bright and crunchy, with plenty of lemon-y tang. 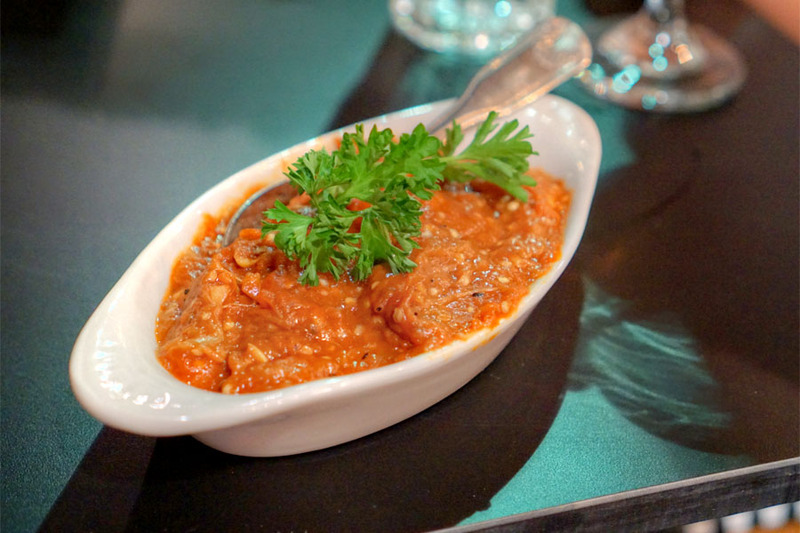 Borani Badenjan - Smooth, smoky, and served surprisingly warm. 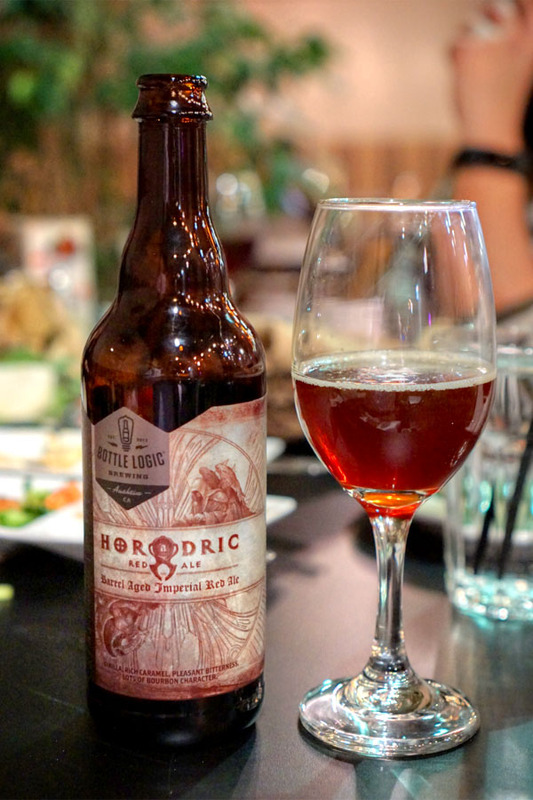 Next to drink was the 2016 Bottle Logic Horadric, a Buffalo Trace barrel-aged imperial red ale produced exclusively for last year's BlizzCon convention in Anaheim. Nose of tart red fruit and rich caramel-y malt. Palate brought more caramel flavors and dark fruit along with a smidge of bitterness and plenty of barrel character. Very well put together, and one of the best red ales I've had, no doubt. I'm not usually a fan of dolma, but quite enjoyed these, to my surprise. 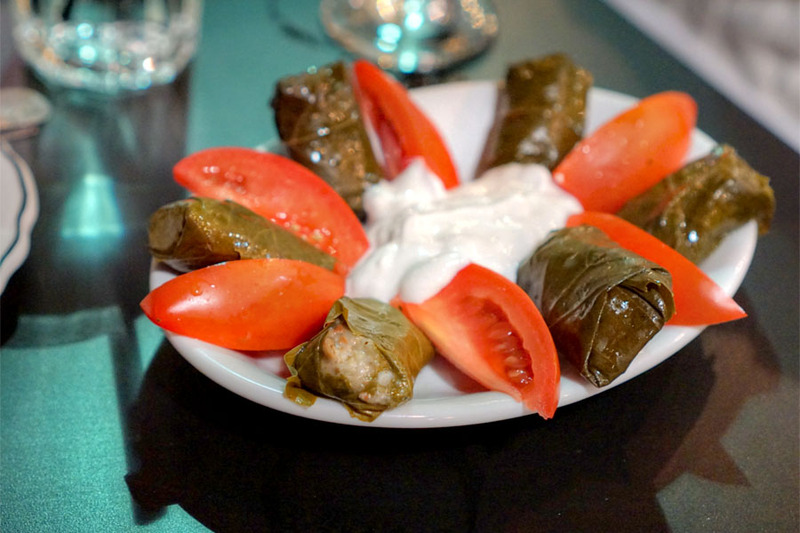 I found 'em particularly well balanced, with the grape leaves giving a pinch of piquancy to the savory stuffing of rice and beef. Even better with the yogurt and juicy cuts of tomato. The kitchen sent out a dish of ikra after we'd inquired about the missing eggplant. Think smooth and rather smoky, with a touch of tartness from the tomato. 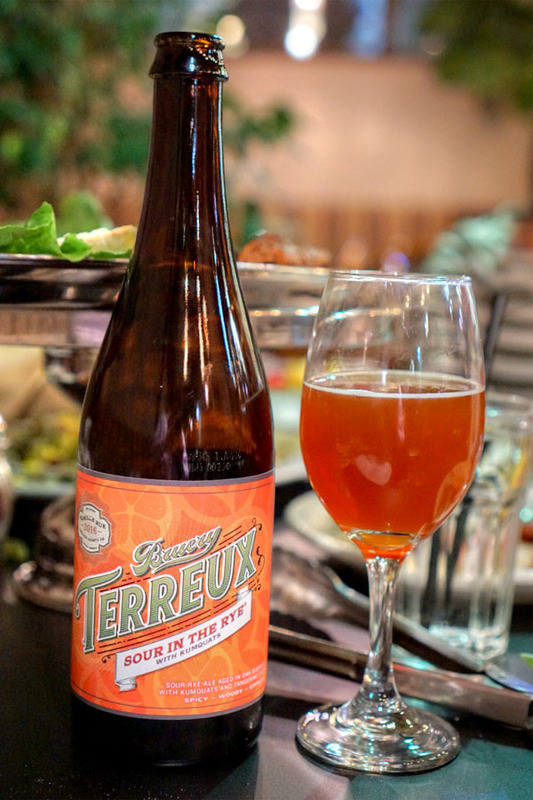 Here we had a sour rye ale aged in oak, the 2016 Bruery Terreux Sour in the Rye with Kumquats. Potent nose with rich spice character and a muddled sweetness. In terms of taste, I got more of that spiciness, along with almost pineapple-like flavors, wood, and a finish imbued with more tropical fruit. Barg of Chicken Kabob - Great charring and seasoning, though it could've stood to be juicier in spots. 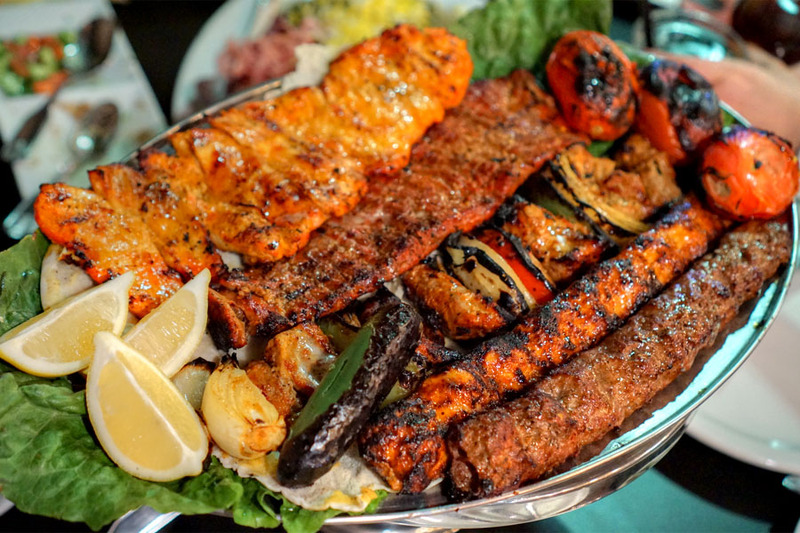 Barg (Chelo Kabob) - Surprisingly tender, with again a good sear to it. 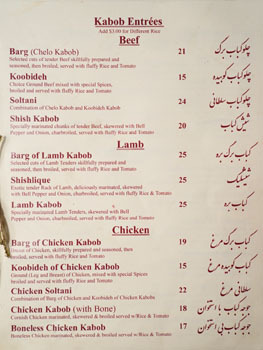 Lamb Kabob - Definitely "lamb-y," but in a restrained manner, with a soft, almost spongy texture. Nice with the smoky veggies. 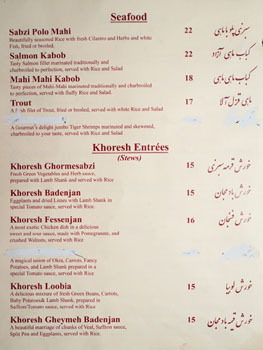 Koobideh of Chicken Kabob - Juicy and springy to the bite, well-seasoned, well-charred. 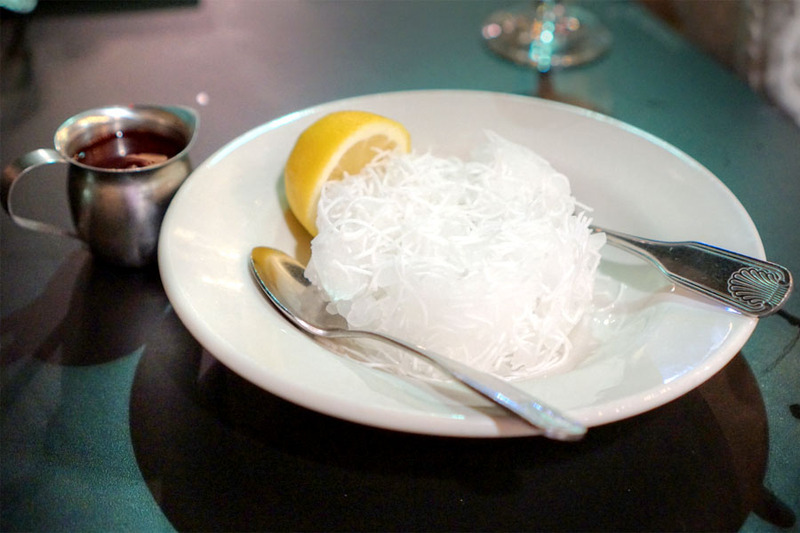 Koobideh - A classic koobideh, with a great spice and herby character. 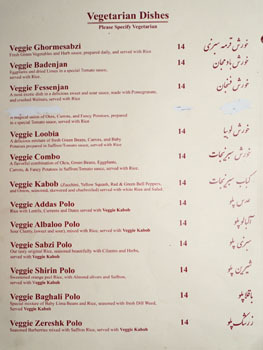 Sabzi Polo - Imbued with a deep, bitter, herbal, vegetal quality. 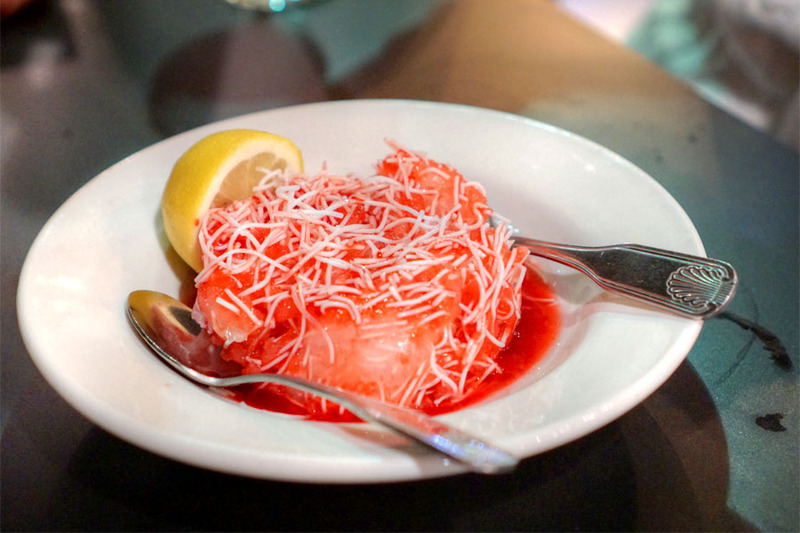 Albaloo Polo - Delightfully sweet 'n' sour, with an appealing color. 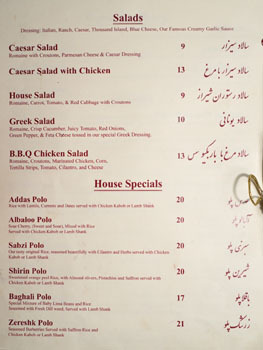 Baghali Polo - Perhaps my favorite of the trio, thanks to the almost funky element imparted by the beans. 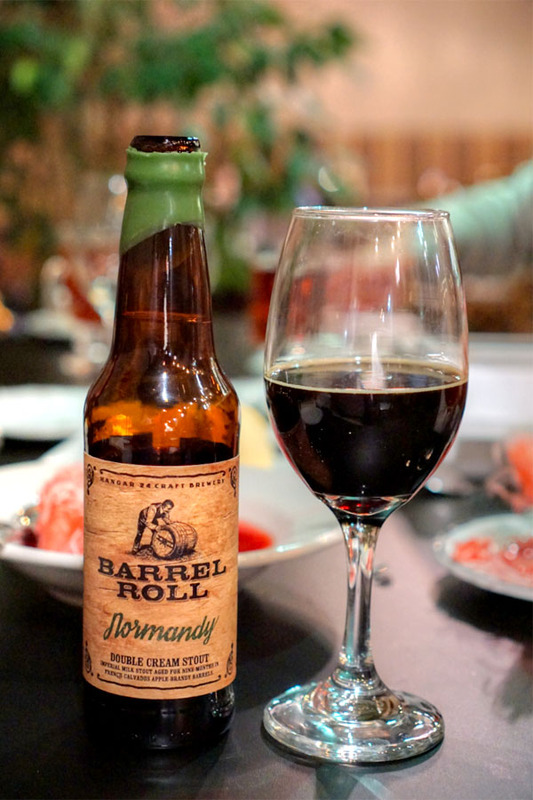 Our final beverage was the 2016 Hangar 24 Barrel Roll: Normandy, a double cream imperial milk stout aged for nine months in French Calvados barrels. In terms of aroma I got lots of chocolate combined with light soy sauce and a tart quality. The taste showcased more of that chocolate and soy, along with oak and a lingering savoriness. I really didn't get much of the apple brandy. 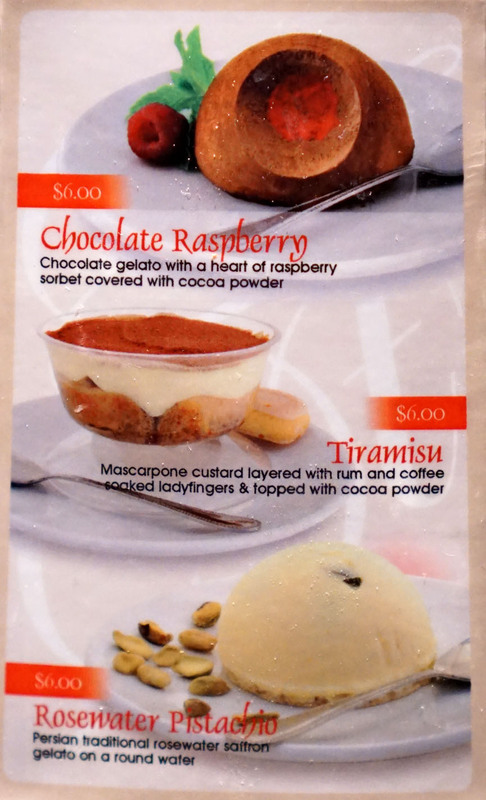 We saved just enough room for dessert, and Shiraz offers up your prototypical selections. Click for larger versions. 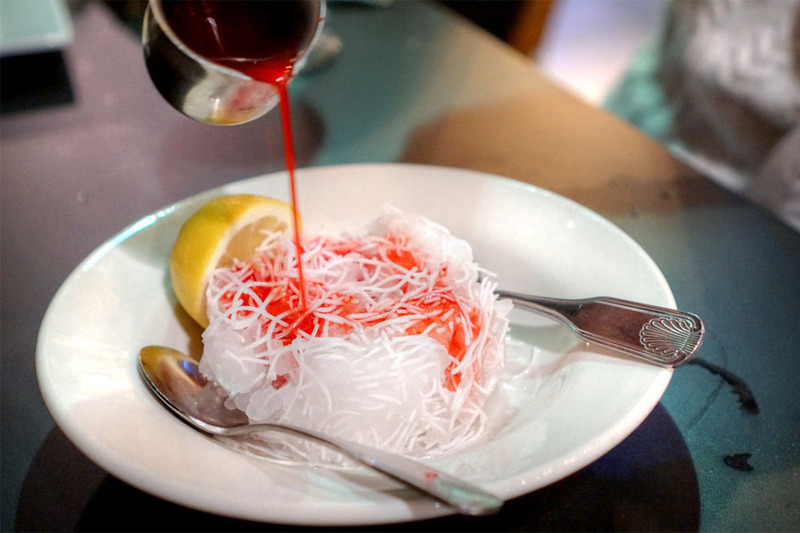 The faloodeh arrived all icy and bracing, with plenty of sourness from the syrup that was actually tempered a bit by the noodles. 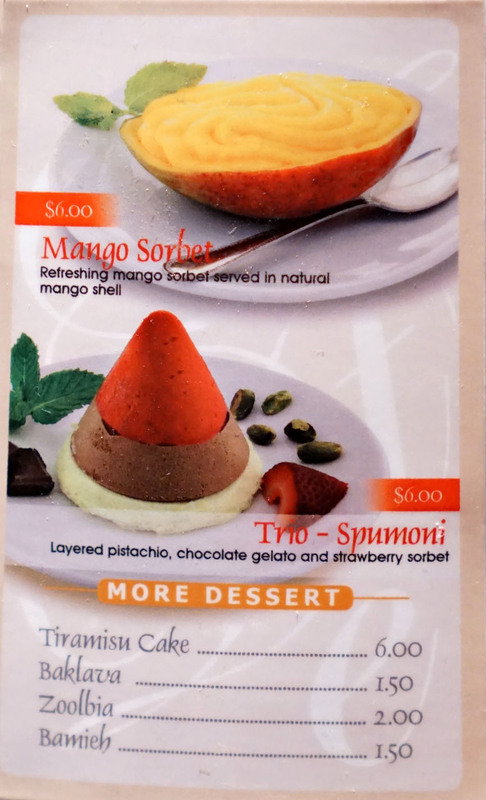 The bastani sonnati satisfied with its refreshing floral flavors and bits of nutty pistachio. Interesting textural contrast from the wafer, too. 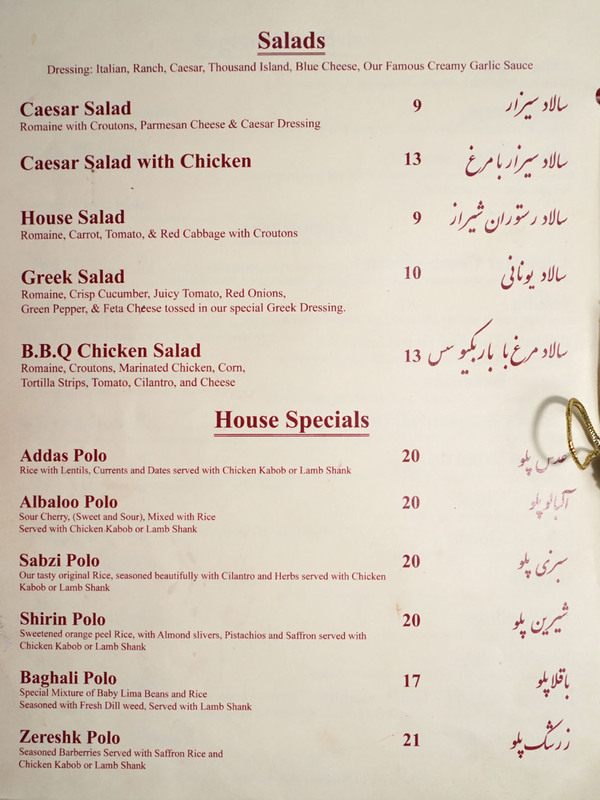 We enjoyed our meal at Shiraz, and had no real complaints. 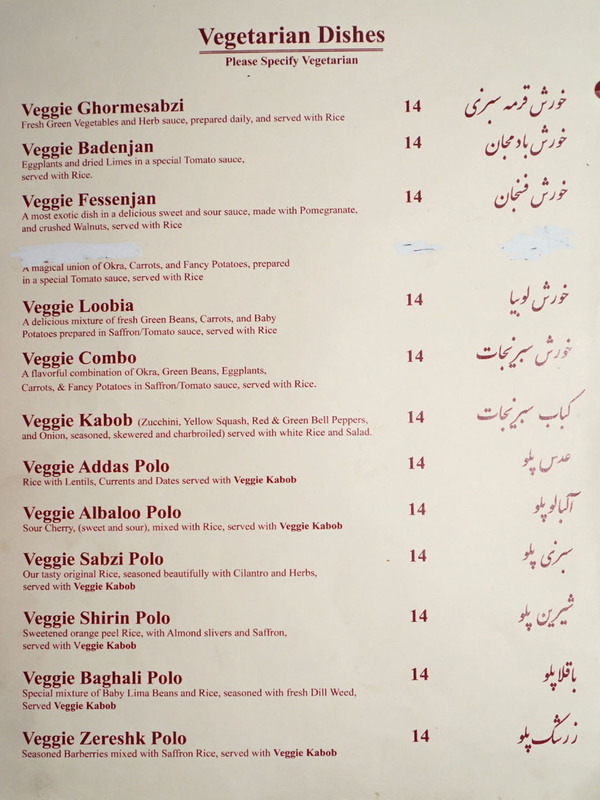 The place doesn't stray too far from the usual Persian cuisine tropes, but there's certainly some solid cooking going on. Service was pretty on point as well, and the BYOB aspect certainly makes the restaurant all the more appealing. 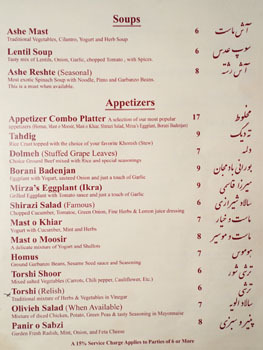 If you want some great Persian food, you have to try Darya in South Coast Plaza, Irvine. There's one here in LA, but it pales in comparison to what they have going on out there! South Coast Plaza has scrumptious spinach and cheese croissants. DR: Are we sure that the Darya in LA is run by the same folks in Costa Mesa? There's also a Darya in Orange, and it's related to the SaMo outpost, but not the SCP one? Stroh: Thanks. 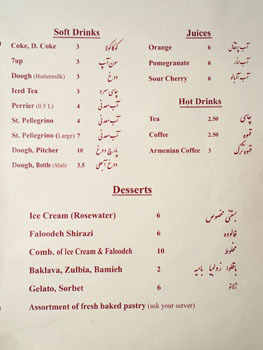 Any other legit spots in said Persian Mecca? You are correct! 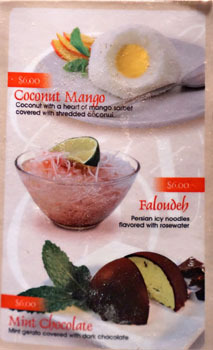 Darya has two locations - one in Orange, and another in West LA run by the same people; however, neither of them is related to the Darya SCP (http://daryasouthcoastplaza.com/), which is the best by far. Thanks for the timely review - going tomorrow!